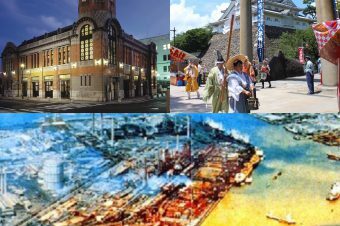 When you think of temples and shrines in Japan, you might imagine Senso-ji Temple in Asakusa or Meiji Shrine in Harajuku, both famous sightseeing spots in Tokyo. 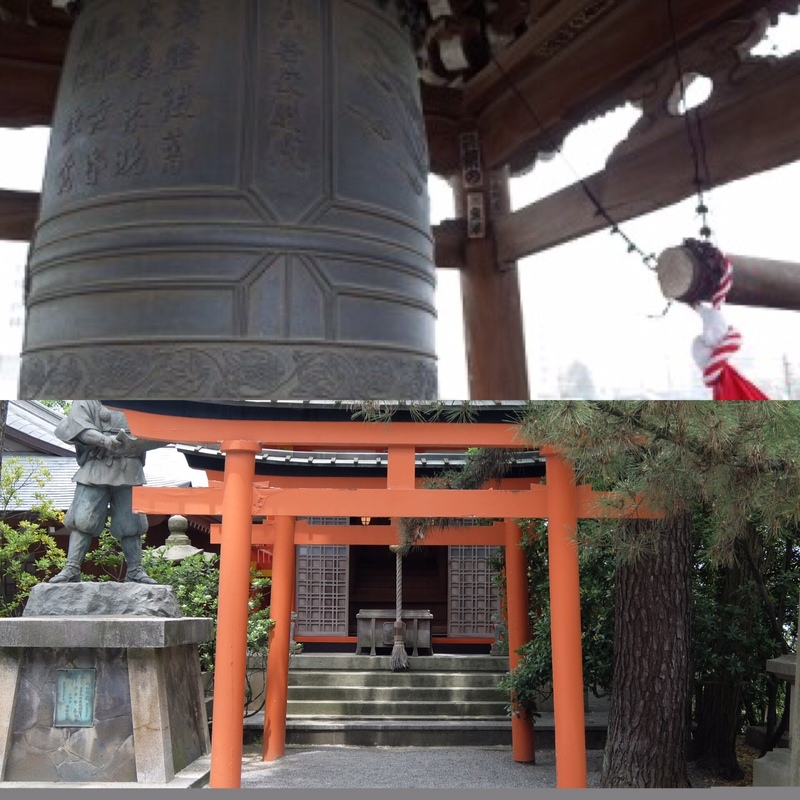 However, there are many more shrines and temples you should visit in Japan. 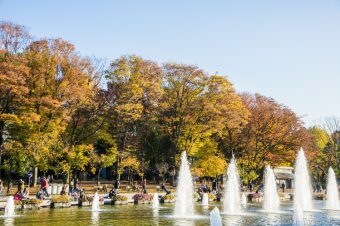 Let’s take a look at some of the more unique temples and shrines around Tokyo where you can find animals! None of the following shrines have any real animals—just statues and images of animals. We recommend visiting these shrines and temples not only because they’re sacred places, but also because they offer unique, one-of-a-kind experiences! 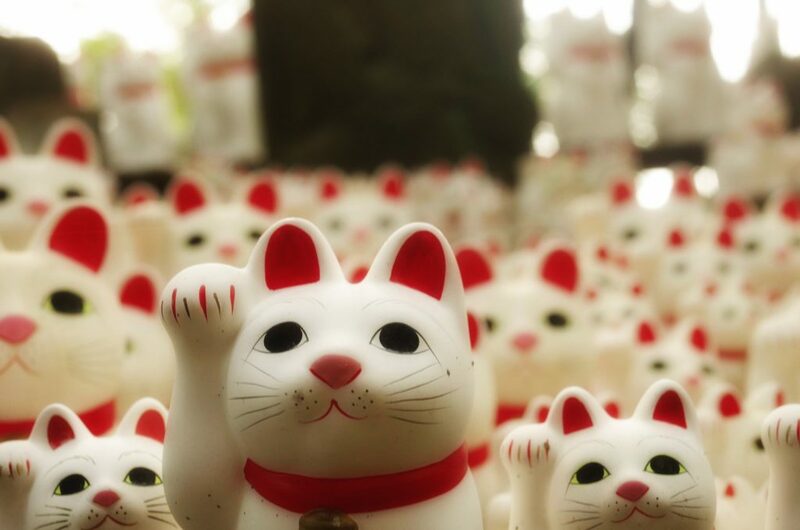 If you have an interest in Japan, there’s a good chance you’ll recognize the maneki neko. The maneki neko is that adorable cat with one arm raised, waving. Also referred to as the beckoning cat, maneki neko is thought to bring good luck and great fortune. Many shops in Japan place this cat in their window hoping that it will bring them customers and wealth. Many locations claim to be the origin site of the maneki neko, but one of the most famous is Gotoku-ji Temple in western Tokyo. 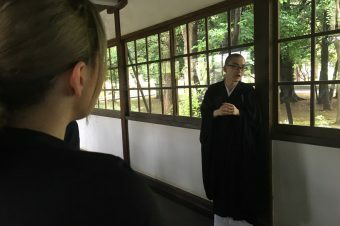 The temple is can be found off the Odakyu Line, less than 10 minutes’ walk south of Gotokuji Station. 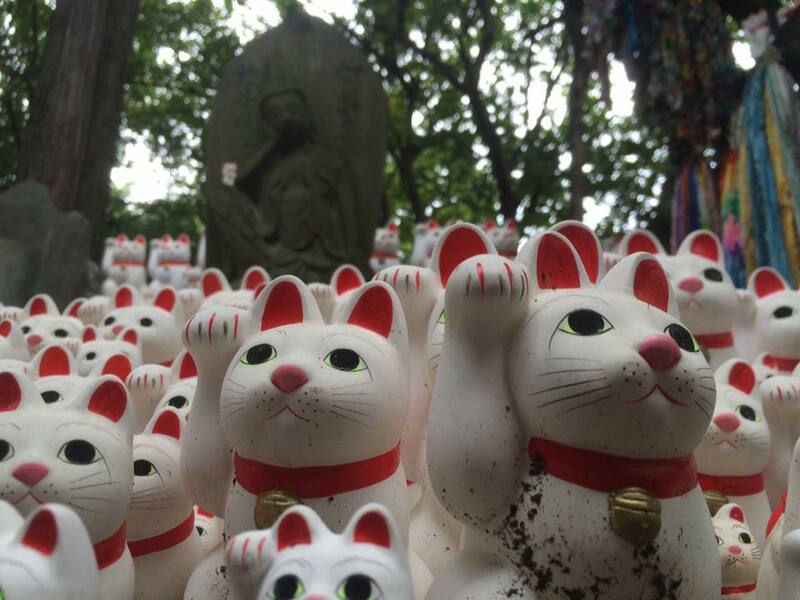 On the grounds you can find a huge number of maneki neko! Dating back to the early 14th century, Kamishinmei-tenso Shrine is located about 10 minutes’ walk west of Nishi Oi Station on the JR Yokosuka Line. During the Kamakura Period (1185-1333), it’s said that a white snake lived in the clear water spring by the main building of the shrine. 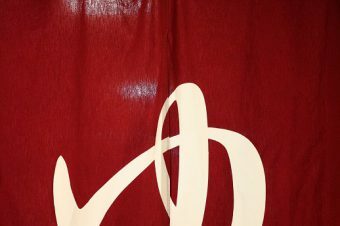 The white snake is considered a sacred and lucky animal in Japanese culture and religion. 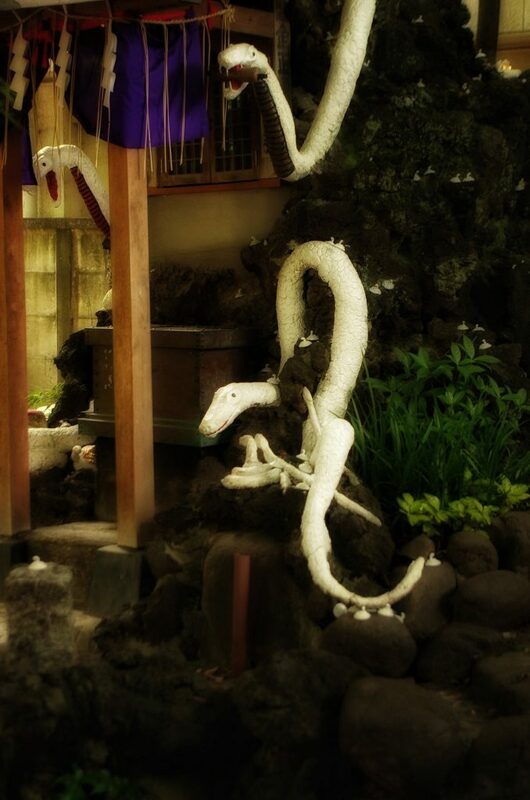 While the shrine was moved to its present location in 1954, you can still find the image of this unique white snake on the grounds. To learn about the snake’s whole story, and how it relates to the goddess of the shrine, click the link below! This shrine is located just south of the JR Chuo Line between Koenji and Asagaya Stations. It’s home of one of the Three Dragon Gates of Tokyo, with ascending and descending dragons on its second torii gate. If you touch the ascending dragon while making a wish, it’s supposed to come true! 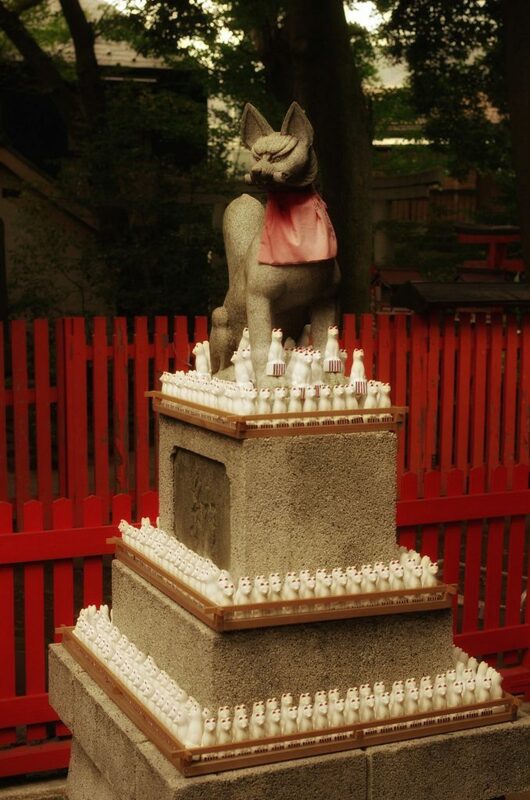 As a shrine dedicated to the fox-god Inari, Mabashi Inari Shrine is naturally full of foxes. In fact, it’s full of lots and lots of foxes, even for an Inari shrine! The shrine holds its quadrennial festival in 2016, making it a great year to visit. Out of all of the Tenmangu shrines in Japan, Hirakawa Tenmangu lies closest to the Tokyo Imperial Palace. The location helps it attract a large number of visitors. 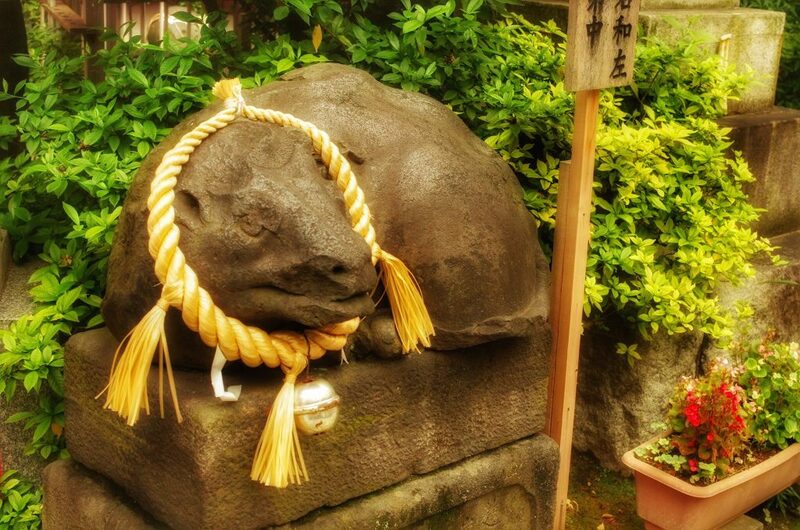 The shrine is also home to a statue of a cow called the “Nade-ushi,” or “rubbing cow.” Legend says that if you rub the cow on the same part of its body where you have an ailment, your ailment will be cured.